If you can’t face the Songkran exodus, here’s a round-up of Bangkok’s best boutiques and shiny new developments to hunker down until the man-made monsoon passes. 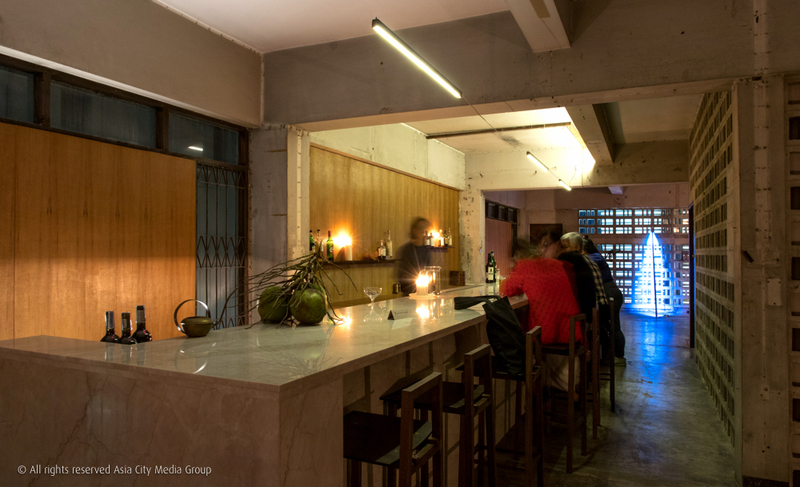 This 50-year-old building was once a vegetarian cafeteria for the Chinese community. Now, it’s been turned into an industrial-vintage, plant-filled boutique bed and breakfast by its interior designer owner. Rustic red brick walls meet patterned tiled floors, with antique artwork and various knick-knacks scattered throughout for a cozy, lived-in feel. Though not in the city center, it’s just a short walk from BTS Thonburi—perfect for those who want a quiet and peaceful stay with easy access to the city. Choose between a standard twin or double bed (B1,800) or a deluxe king-sized bed (B2,200). Prices also include a simple breakfast set. The “ultra-luxury” hotel brand founded by Horst Schulze, former long-time president of Ritz-Carlton, is all but complete on the Chao Phraya. 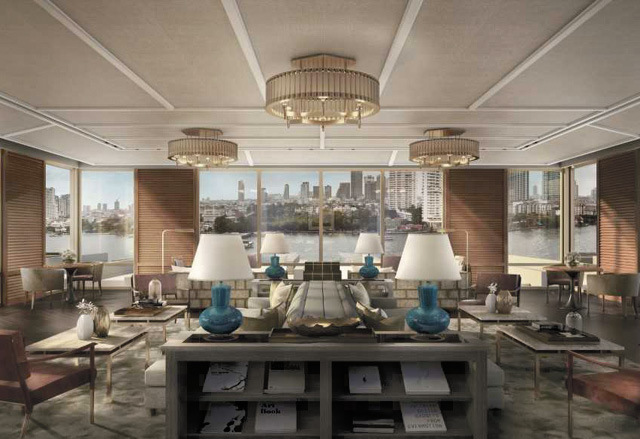 The low-rise development’s 101 suites will offer sweeping river views, with Thai textiles and accents throughout. Within the property, you’ll find a riverside restaurant featuring menus by Argentinian chef Mauro Colagreco, of the three-Michelin-starred Mirazur restaurant in Menton, France. Rates are yet to be confirmed. 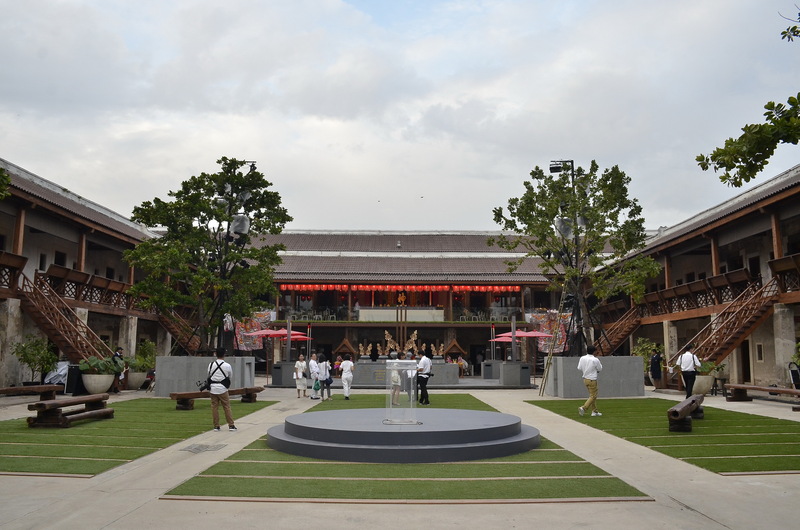 Besides the historical gems and abundance of street food, life on the Thonburi side of the river is an increasingly attractive prospect thanks to the new 750,000-square-meter luxury mall IconSiam with four buildings of retail and entertainment. 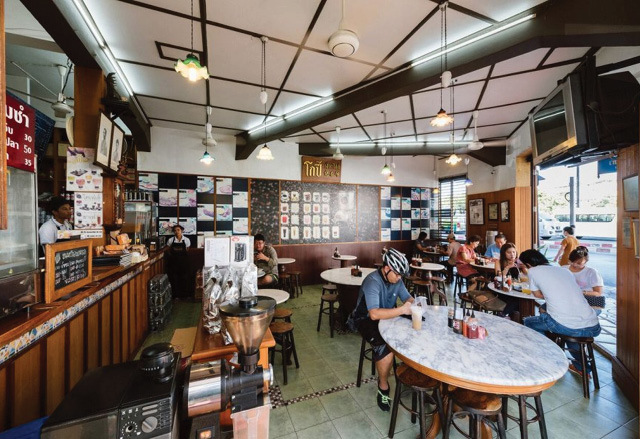 When it’s not too hot, visit the 167-year-old Thai-Chinese compound Lhong 1919 (248 Chiang Mai Rd., 091-187-1919) that centers around a Mazu shrine where art and craft shops, event spaces, restaurants and cafes can be found. 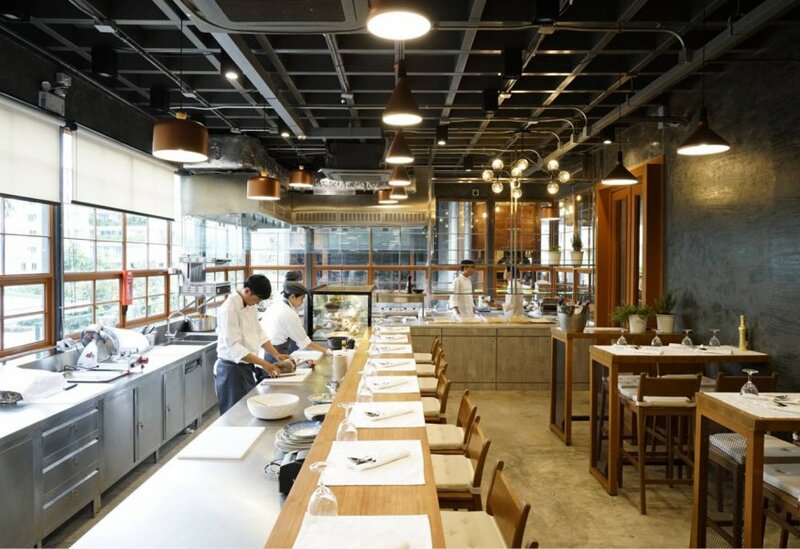 For morning coffee, head to the newly launched Walden Home Cafe (451 Somdet Chao Phraya Rd., 062-362-9915) for their signature chocolate and matcha latte (hot B70/cold B80) or the healthier cold-pressed juices (B90). Come dinnertime, meat lovers shouldn’t miss Mahasan Burnt & Bowl (1843 Charoenkrung Rd., 086-960-5858), where locally-sourced meats like charcoal-smoked T-steaks (B580/ 500g), sous-vide grilled cow tongue (B270) and braised roasted beef stew (B220) are served to just four or five tables in a simple, homely living room. 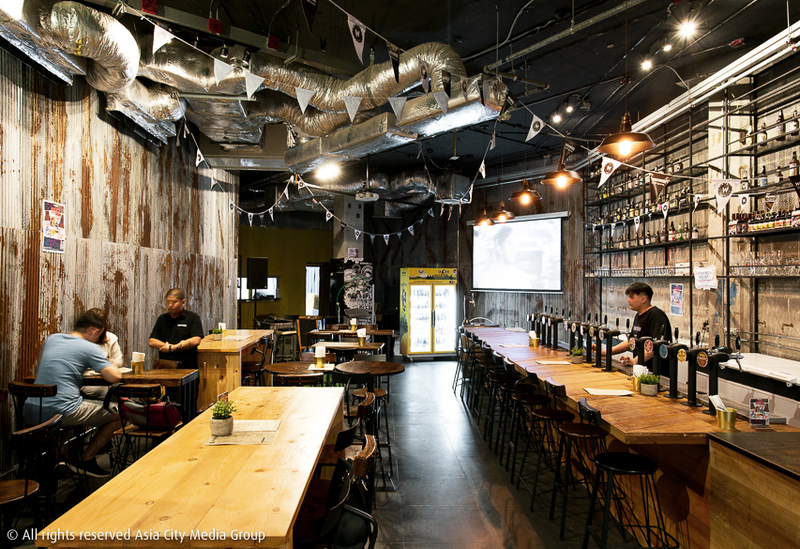 Craft beer lovers should check out Wishbeer Garden's (Vue, 110 Charoen Nakhon Soi 13, 02-392-1403) industrial warehouse, where beer tasting flights are B750 (for six 175ml glasses). On the rooftop of Avani Hotel, Seen (257 Charoen Nakhon Rd., 02-431-9120) is a ritzy, art deco-referencing new bar and restaurant. Expertly balancing a casual yet elegant vibe, Casa Vimaya Riverside is set in the heart of Bangkok’s Old Town next to Bang Lamphu canal. Inside the colonial-style property, oak wood floors, rattan furnishings and warm earthy tones all combine in a mix of old-world charm and modern comfort. 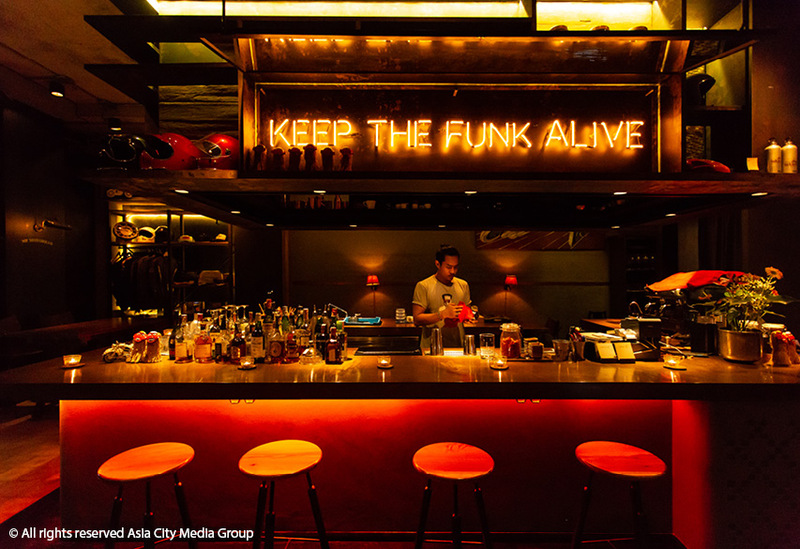 Lying only a short ride from Chinatown, the Grand Palace and Khaosan Road, there’s plenty of entertainment at hand besides the large rooftop pool complete with poolside bar and the cozy canalside Thai restaurant. Rooms start at B2,600 a night for the 25-sq-meter Superior King Bed. Occupying an 80-year-old-building that took over two years to renovate, Kanvela House offers a boutique stay that executes its “time-lapse” theme with class. Rustic elements like scratched brick archways, old naked cement walls, heavy dark-wood accents and antiques are countered by elegant glowing chandeliers, lush potted plants and an abundance of flower bouquets. There’s a total of 11 rooms on the second floor, including private rooms (B1,500 per night) and mixed or ladies-only dorm rooms (B550), while the ground floor is taken by a hip bistro serving hot dishes and baked goods created by chef Stefano Merlo from Sensi and drinks by baristas from popular cafes like D’ark and Air Space. This hotel channels Thai folklore in its design for a unique, mysterious vibe. Inside, rich retro greens and browns, dark wood furnishings, carved woods and crafts in Thai patterns are spread throughout, creating an exotic feel. Head to the rooftop pool and bar for sunset, then back down the ground floor restaurant for pungent Isaan dishes and refreshing cocktails. All rooms come with private Jacuzzis, with rates starting at B2,500 a night. 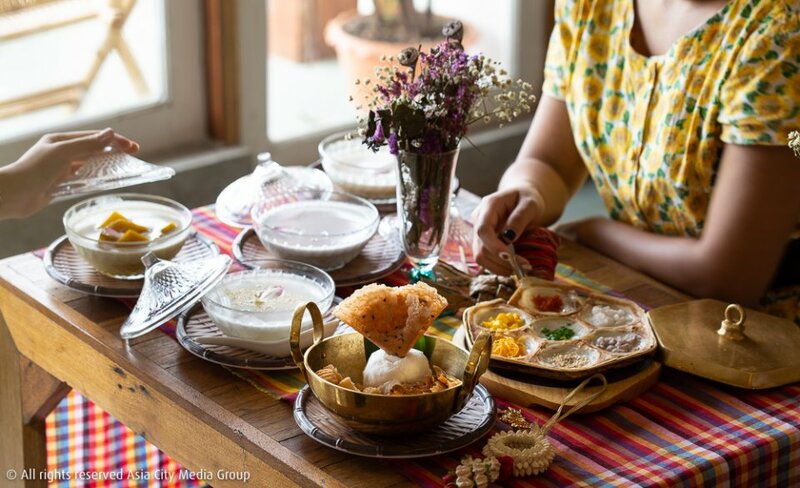 For a big breakfast, head to the 60-year-old Kope Hye Tai Kee (526-528 Phra Sumen Rd., 026-290-646), where a set of pan-fried eggs with sausage costs B85, before moving onto Dialogue Coffee and Gallery (533 Phra Sumen Rd., 084-754-8799) for a good cup of espresso (B55). Come afternoon, head to the rooftop at Kanom Chan Thai Dessert Bar (5/F, Na Banglamphu Hotel, 133 Phra Sumen Rd., 085-484-4044) for craft beers and traditional Thai mains and desserts, like tong muan krob I-tim ga-ti (coconut ice cream in a crispy wafer, B120). For dinner, don’t miss the legendary 80-year-old Hainanese chicken-rice specialist Phanfa Restaurant (550-4 Phra Sumen Rd., 02-281-6890), or find late-night sustenance in a comforting bowl of khao tom (rice porridge) at Fah Mui (587 Phra Sumen Rd., 02-282-1206), open till 3am. Often enlivened by stragglers from neighboring Khaosan, Phra Sumen boasts a quieter vibe with no shortage of places to explore. Options include the historic King Rama IV-era Wat Bowon Niwet Wiharn and the Queen Sirikit Gallery (101 Ratchadamnoen Klang Rd., 02-281-5360). Bookworms shouldn’t miss Passport Bookshop (523 Prasumeru Rd., 02-629-0694). 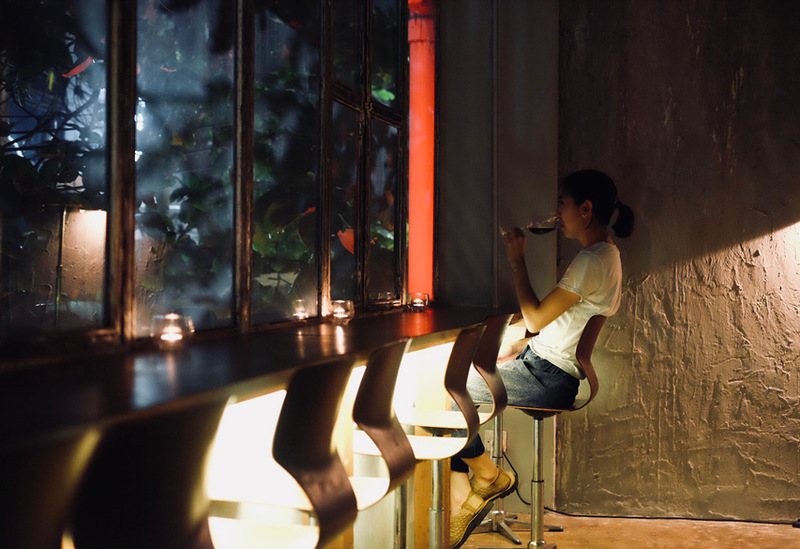 Start your night at Kangkao (2/F, 469 Phra Sumen Rd., 02-067-6731), a hidden bar that’s all about natural, organic wine, with prices ranging from B1,500-2,600 by the bottle and B300-380 by the glass. 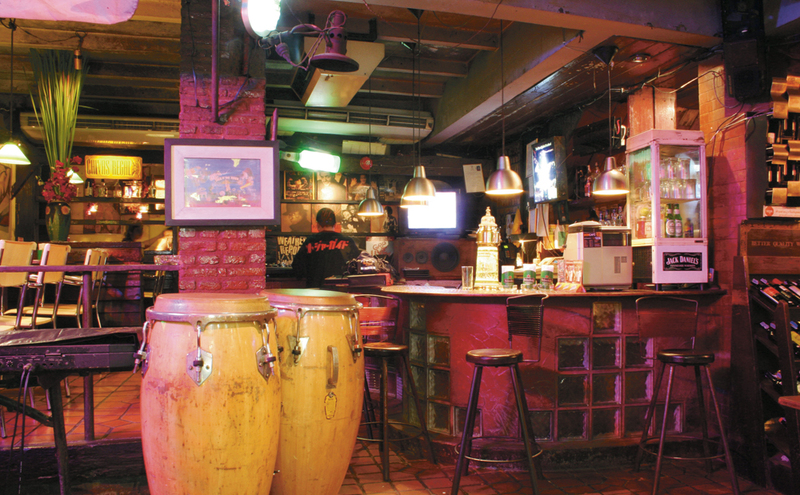 Upstairs, you’ll also find the Old Town’s the uber-cool secret cocktail specialist, Ku Bar, while live jazz institution Brown Sugar (469 Phra Sumen Rd., 089-499-1378) sits next door. 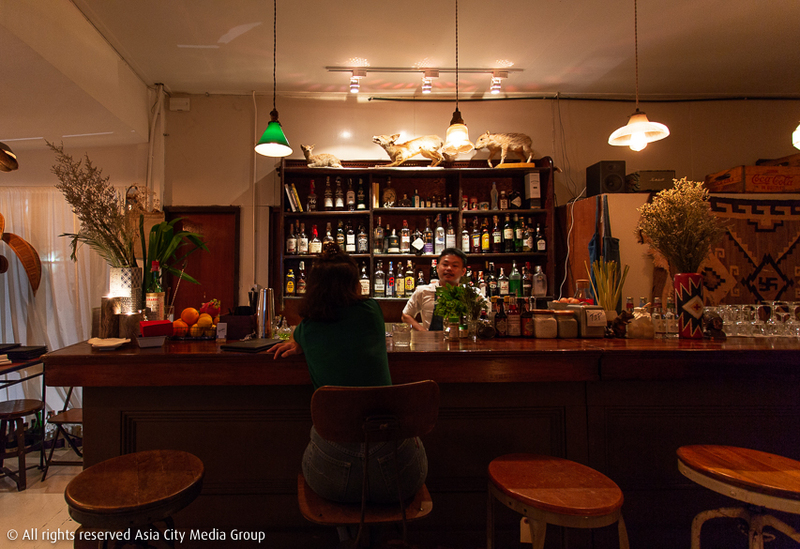 After that, you can head to Sape Bar BKK (Phra Sumen Rd., 098-956-0088) for creative Thai-leaning drinks like the ngo pa (B180)—black jelly paired with Kahlua (coffee-flavored liqueur) and Baileys. After six years of anticipation, Ratchadamri’s luxurious five-star hotel finally opened last August. Perched between The Royal Bangkok Sports Club and Ratchaprasong Intersection, the hotel’s grand interiors are designed by Hong Kong-native architect Andre Fu, who’s known for his East-meets-West style and was named Designer of the Year by Maison & Objet Asia in 2016. 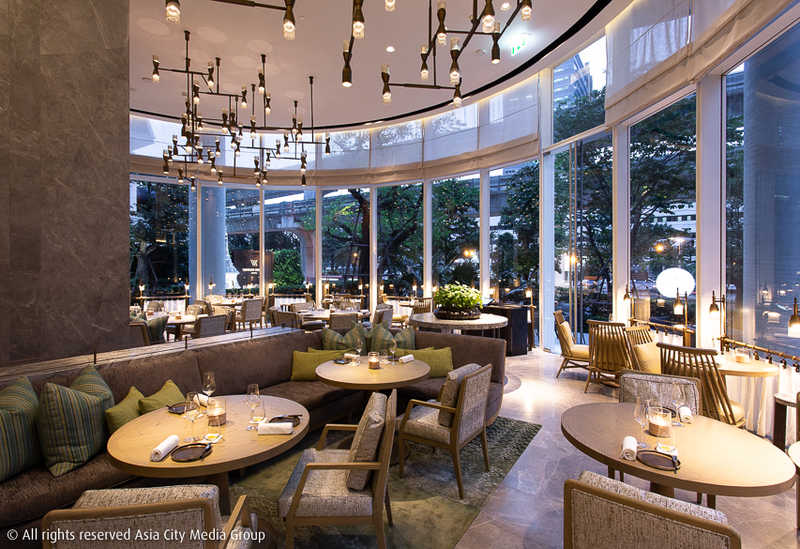 Glide up a spiraling Art Nouveau staircase beneath soaring ceilings and dripping chandeliers to discover the 171 rooms and suites—including some of the largest in downtown Bangkok at 300 sq-meters—each of which feature floor-to-ceiling windows. The 50-sq-meter King Deluxe Room, which starts from around B9,500/night, can fit up to three people and includes a walk-in closet, personal bar and a king-size bed. Keep your sights trained on Phloen Chit’s latest skyscraper for the new Rosewood Bangkok, which begins on its 33rd floor. The hotel comes with a total of 159 swanky rooms, including suites and houses ranging from 42- to 291-sq-meters. Elegant cream tones and furnishings in shades of gold and blue are designed to evoke traditional Thai charm with a contemporary edge. We’ve got our eyes on the 26th floor Sky Pool Studio, which comes with its own private terrace and outdoor plunge pool with sweeping views of Bangkok. 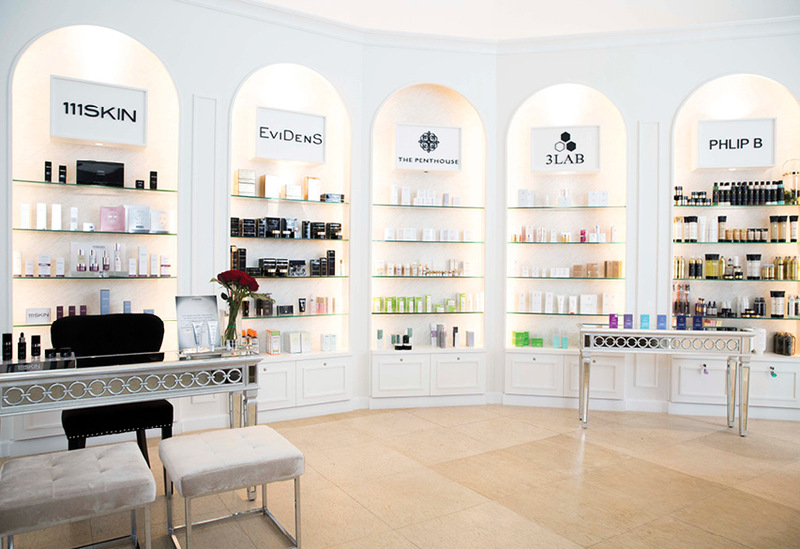 Other facilities include Rosewood’s signature spa, a swimming pool and a fitness center, four restaurants and Lennon’s, a speakeasy tucked behind a whiskey library that has a collection of 6,000 vinyl records for you to browse and play. Room rates start at B9,450 per night for the Deluxe King room. 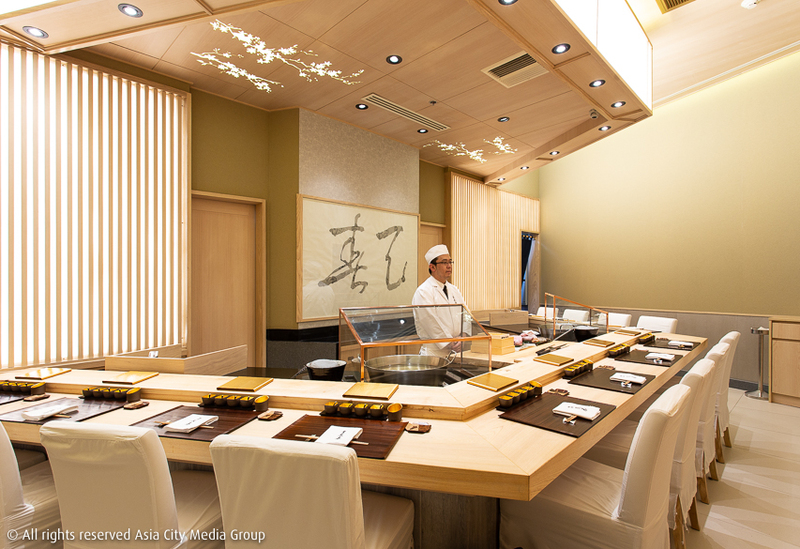 Try the tempura omakase at Ginza Tenharu (3/F, Gaysorn Village, 999 Phloen Chit Rd., 02-070-0014), where a chef’s selection of premium deep-fried produce—think enormous Hokkaido scallops, decadently rich Kobe beef and pockets of nori stuffed with creamy sea urchin—is served around a sushi-style counter (B4,500-6,500). Fancy an afternoon tea? 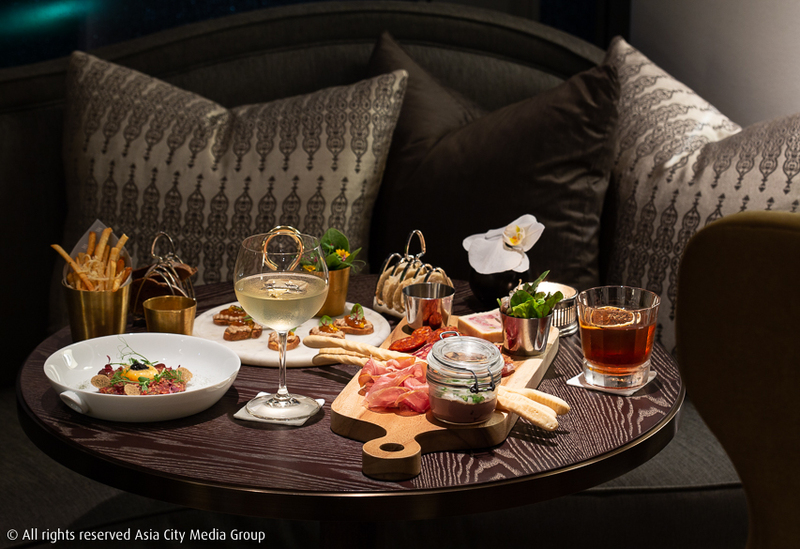 Hit up the opulent Peacock Alley (15-16/F, Waldorf Astoria Bangkok, 151 Ratchadamri Rd., 02-846-8888), where you’ll even find tea-inspired cocktails. 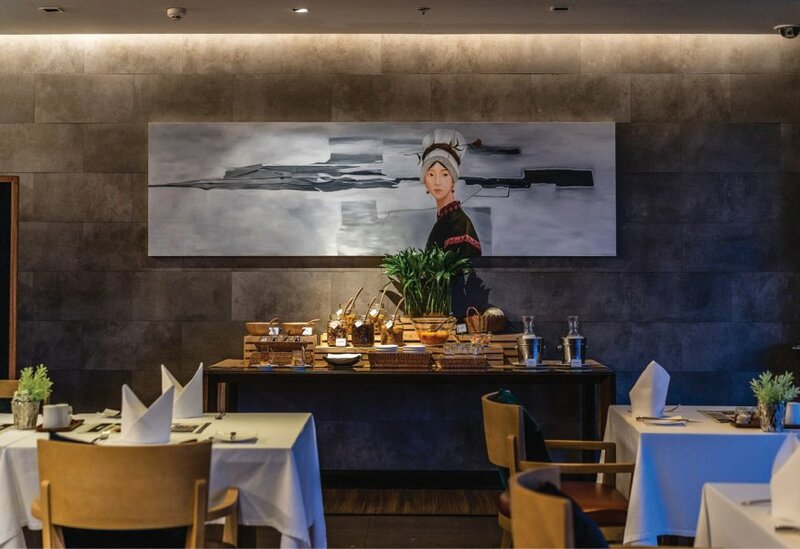 For dinner, sample strange yet delicious Nordic-Thai flavors at The Front Room (1/F, Waldorf Astoria Bangkok, 151 Ratchadamri Rd., 02-035-810), led by chef Rungthiwa Chummongkhon, formerly of Copenhagen’s Noma (the 10-course menu starts at B3,200 per person). Pamper yourself Japanese-style at Panpuri Wellness (12/F, Gaysorn Urban Retreat, Gaysorn Village, 127 Ratchaprasong Rd., 02-253-8899), whose signature onsen is filled with mineral water from Kusatsu, a town renowned for its naturally-occurring hot springs. While B750 will get you all-day entry to the five different pools, those seeking discretion can opt for the private baths at B1,800. 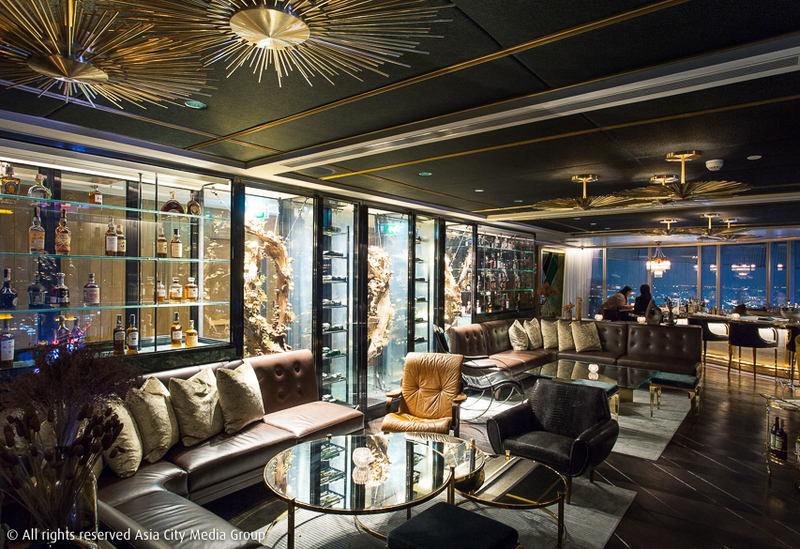 On the 57th floor of the new Waldorf hides a super-luxurious speakeasy. The Champagne Bar (57/F, Waldorf Astoria Bangkok, 02-846-8888) serves four options by glass, with prices starting from B680 for Charles Collin Blanc de Noirs Brut, NV, up to B1,200 for a glass of Billecart-Salmon Brut Rose, NV. Local tastemaker Oak Sarisut is best known for his work with the vintage flea market Made by Legacy. Together with his wife, Ploy Chatlaong, they’ve put their knack for matching and customizing furniture finds into two gorgeous and affordable (just B4,800/night) guest suites that pay homage to modernist design. Drawing together mid-century originals and custom one-offs, Balance Suites’ giant and minutely detailed rooms are an oasis of taste. The Alexander Calder lithograph, for example, is an original that Oak bought at auction. 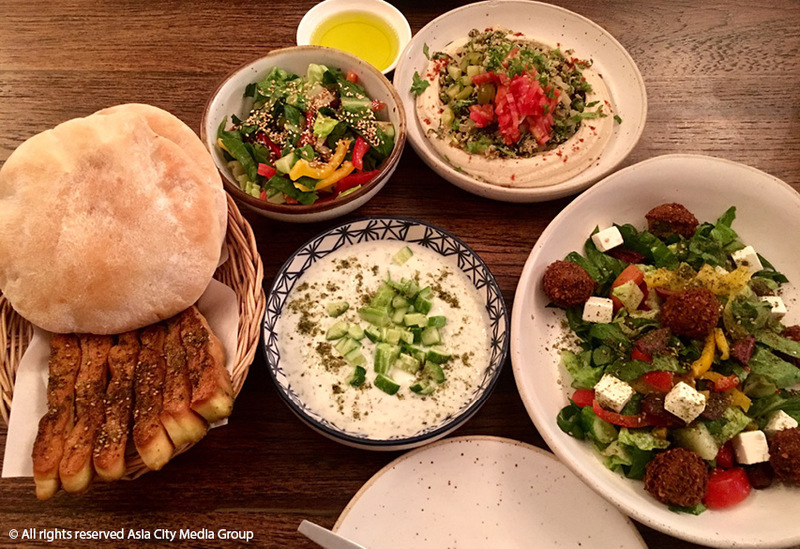 Ploy’s a chef and runs the downstairs cafe, Simple Natural Kitchen, which works with top local food producers to create satisfying European comfort food—breakfast here’s included in the price. Can’t afford the five-star Okura Prestige? Check out this sub-brand that recently touched down in Thailand. 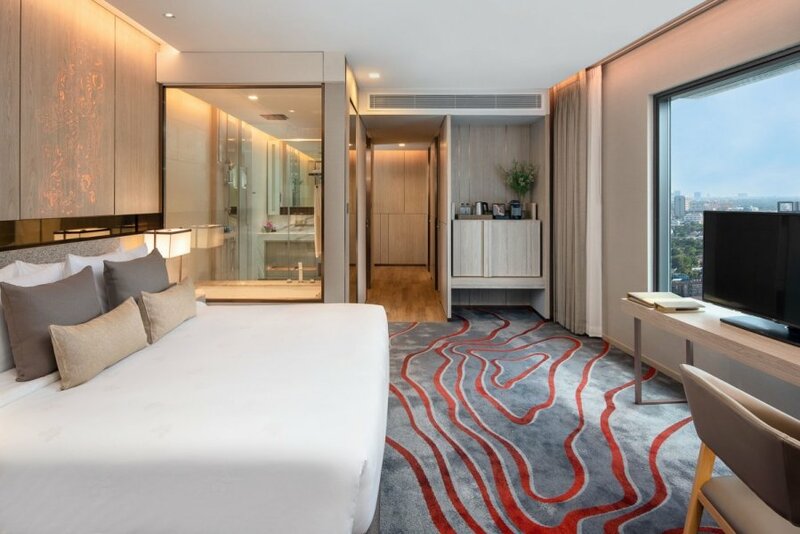 Located just two minutes’ walk from BTS Thonglor, the 22-story Hotel Nikko Bangkok features 301 rooms from around B3,500 per night. On-site dining includes Japanese restaurant Hishou (teppanyaki, sushi and more) as well as casual all-day dining at The Oasis. Thonglor’s luxury boutique Akyra hotel is chic and elegant with playful splashes of vibrant retro colors. Rooms here are a combination of studios, suites and residences, all with glossy timber floors, vintage velvet furnishings and luxurious all-marble bathrooms, with rates starting at B4,000 per night for a studio room. 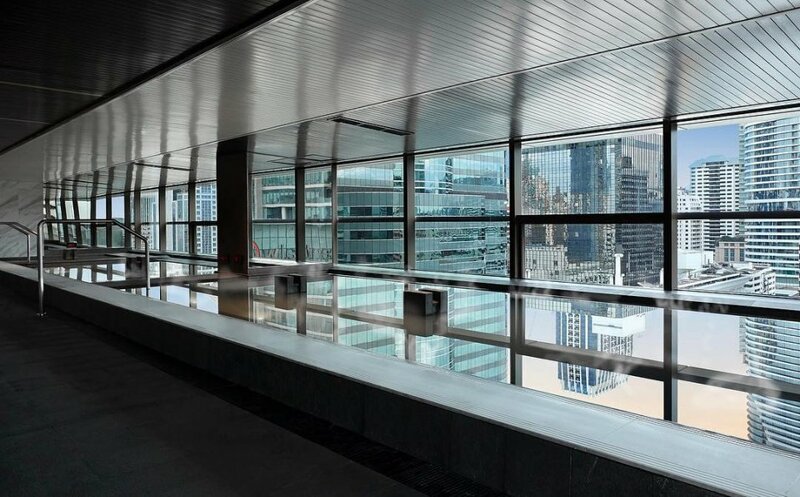 Other facilities include speakeasy-style 008 Bar, Som Tam & Chardonnay restaurant and a poolside bar on the 11th floor. 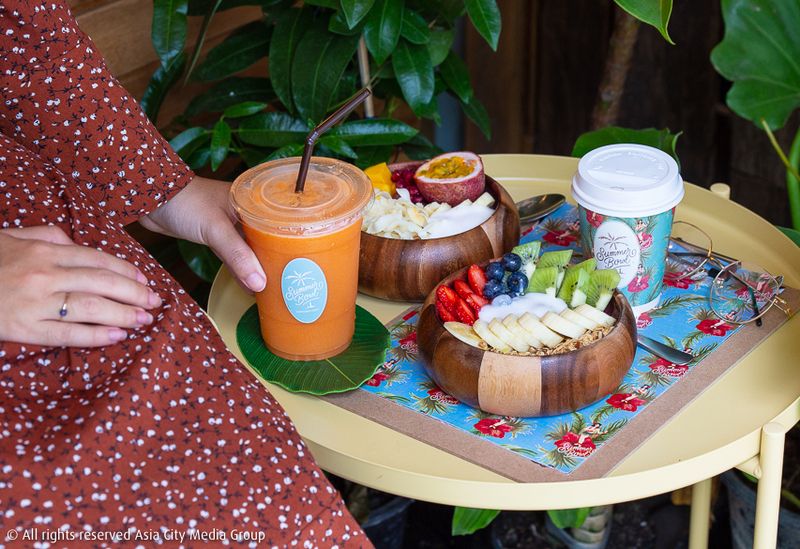 Start your day at the beachy, palm-fringed Summer Bowl (261 Thonglor Soi 13, 089-894-2646), where acai and smoothie bowls are served with Hawaiian flair using organic produce from local farmers. For lunch, fill up on decadent plates of spaghetti “Bottagara” (garlic chili, parsley, rock lobster, dried gray mullet and pesto, B390) and Bigoli “Al Ragu’ D’anitra” (braised duck meat ragout) at Al Dente (The Commons, 335 Thonglor Soi 17, 097-078-1968), or take a lighter approach with a heavenly falafel and hummus pita (B220) at Hummus Boutique (999 Sukhumvit Rd., 092-819-8131). 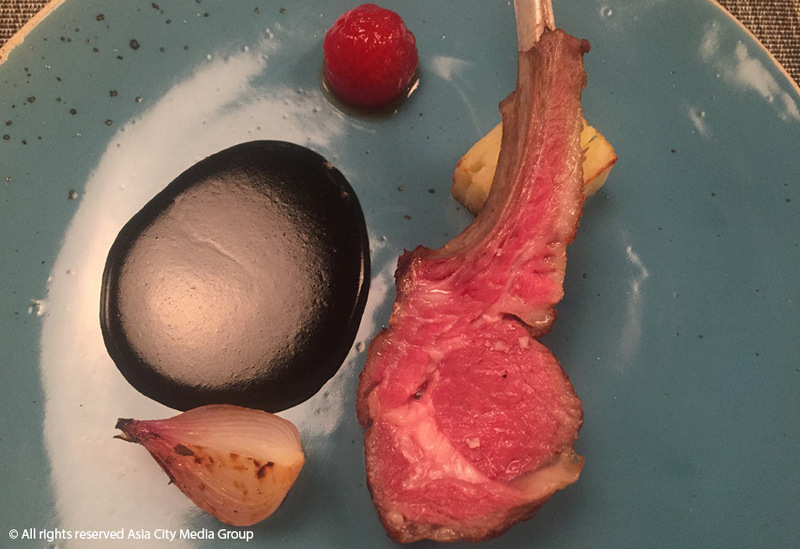 For dinner, reserve an exclusive seat at the swanky Table 38 (G/F, Ashton Morph 38, 8 Sukhumvit Soi 38, 083-399-9888), where you’ll be guided through eight or 12 creative courses (B2,600 or B4,900 per person) by chef Andy Yang, whose Thai restaurant Rhong-Tiam won a Michelin star in New York back in 2009. 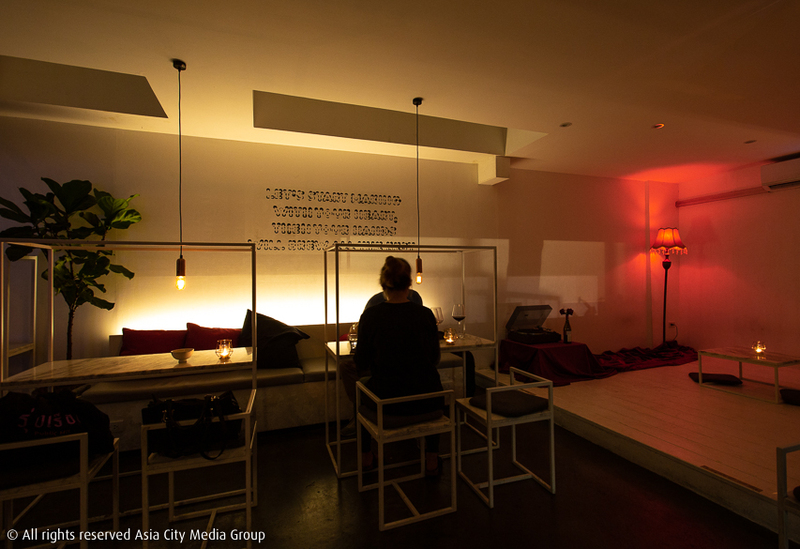 Spa addicts can go all out at The Penthouse by BFF (4/F, J Avenue, 323 Sukhumvit Soi 55 [Thonglor], 02-712-9666), with treatments like the 75-minute Anti-Blemish Facial using London’s high-end skincare brand 111Skin (B6,500) or the 120-minute package which includes an intense hair treatment using Philip B’s Russian amber imperial shampoo, a full body massage and deep scalp toning (B6,200). If you’re a mani-pedi lover, head to Allure Hand and Foot Spa (1/F, The Commons, 335 Thonglor Soi 17, 062-395-6522) for their signature 90-minute “Alluring Moon” skin purifying organic spa treatment (B1,200/hands and B1,500 /feet). Basic mani-pedi services are also available—a simple gel manicure costs B700 while a pedicure is priced at B800.